Tiramisu is the most popular dessert at Tavola. From the casual to the gourmet, chilled desserts are the sweetest way to enjoy sunny days at Sea Island. The menus at Sea Island change in response to seasons, and the desserts offered in the on-site restaurants are no exception. From the rustic Italian feel of Tavola to the elegance of the Forbes Five-Star Georgian Room, fresh innovations from the Sea Island pastry team combine with longtime resort favorites to make spring and summer as sweet as they are sunny. Wonderland, the ice cream shop at The Beach Club, has been redesigned into an even larger poolside sweet shop offering frozen yogurt and soft-serve ice cream with toppings. In addition to those refreshing treats, here are five more cold desserts to tempt your warm-weather palate. A longtime Sea Island tradition, this iconic treat is available on the menu at the River Bar & Lounge, Southern Tide and Wonderland. Vanilla ice cream is covered with a magical warm chocolate sauce that hardens to a crisp shell when it meets the cold base. The roasted pecans make an aromatic addition to the flavor, slightly salty in contrast to the sweet dessert. A favorite of members and popular with guests, the Gold Brick Sundae can be requested at the resort even if it’s not on the menu. Pastry Chef de Partie Ashley Nichols is always happy to accommodate the request. “If we do have a member or guest eating and the Gold Brick Sundae is their favorite thing in the world, we will absolutely make sure they get their hands on one,” Nichols says. While the name might sound a little simple, there is nothing plain about this hot-and-cold dessert at River Bar & Lounge. In fact, Nichols is partial to the contrast. “The temperature difference is one of my favorite things to create,” Nichols says. “When you pull it off well, it makes one of the nicest desserts.” Fresh, hot beignets are paired with a rich, thick cold coffee custard and served as an innovative spin on a classic sweet pick-me-up. The strawberry shortcake features fresh berries, a house-made biscuit and cool whipped cream. biscuit. Served in Southern Tide, where the menu places an emphasis on the traditional, the strawberry shortcake also has notes of fresh citrus zest. 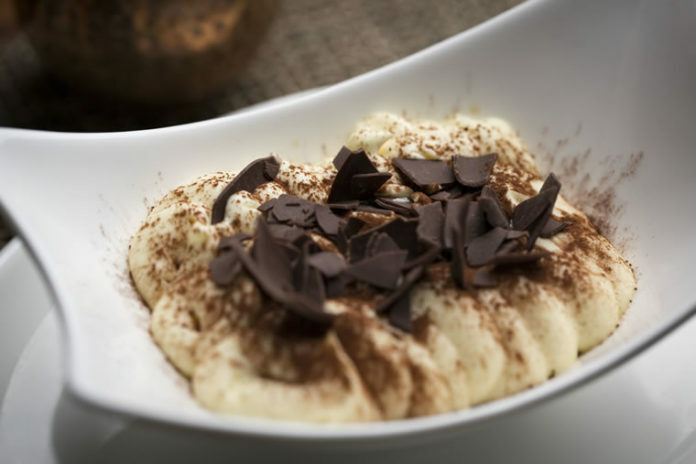 At Tavola, the most popular dessert offered, by far, is the tiramisu. It features layers of mascarpone cheese folded with heavy whipped cream and baked ladyfinger cookies soaked in liqueur-laced coffee. The chocolate espresso sauce on the bottom adds the final touch of decadent flavor. 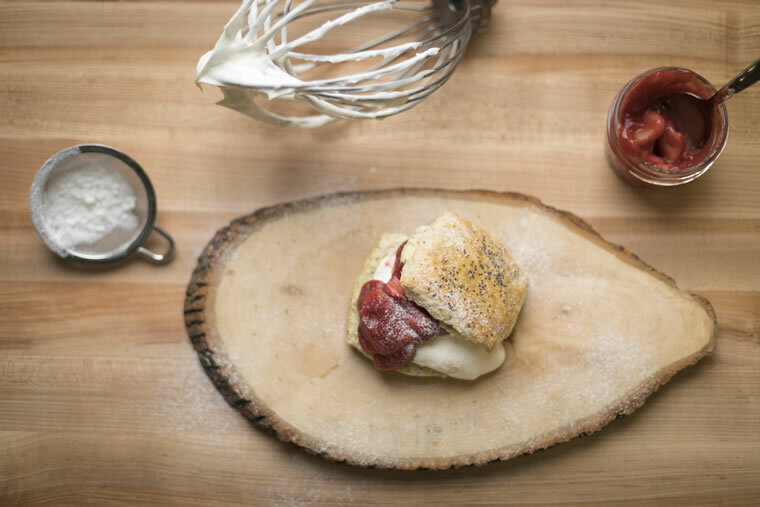 Cool and refreshing, this creamy concoction is the perfect traditional end to an Italian meal. Handcrafted frozen desserts are a favorite with Sea Island chefs. 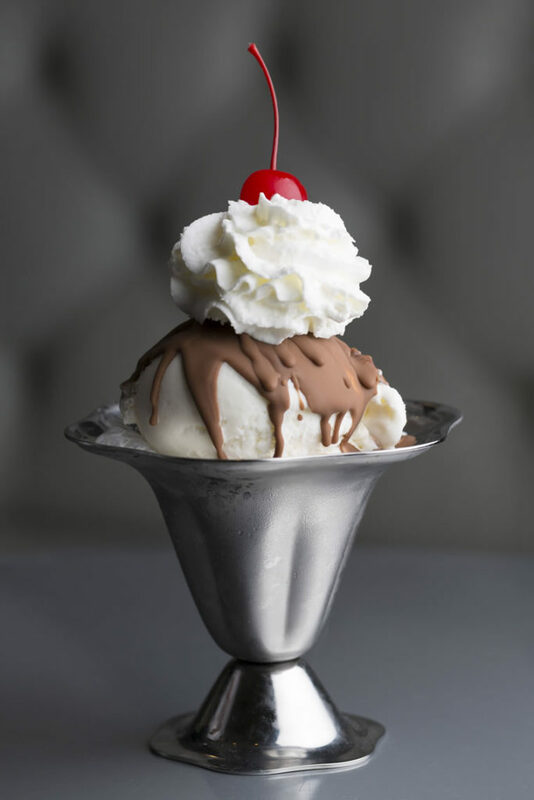 Creating these treats in-house is unusual for a resort because they often do not have the capacity, but the 3-gallon ice cream machine at Sea Island can whip up a new flavor quickly. “We have hazelnut [gelato] and do a really lovely biscotti [gelato], which is either a caramel or chocolate flavor with a nice crunch from biscotti pieces,” says Cortney Harris, executive pastry chef at Sea Island. The biscotti is on Tavola’s menu, while the hazelnut is offered across the resort. Another unique gelato flavor is the lemon cookie crunch, also served at all outlets. Starting with a vanilla base, the chefs spin in lemon and freshly baked cookies that add the citrus flavor and crunchy texture. Legendary ice cream brand Ben & Jerry’s celebrates 40 years. In 1978, Ben & Jerry’s began in a remodeled gas station in Burlington, Vermont. Two best friends took a $5 ice cream-making course from Pennsylvania State University and opened up their first shop with a $12,000 investment. One year later, they celebrated their newfound success by hosting Free Cone Day, a tradition that continues at Ben & Jerry’s stores today. From the company’s humble beginnings, the duo moved to a local warehouse where they packed pints and delivered them out of Ben’s classic Volkswagen to local grocery stores. The business made a major contribution to the world of ice cream when it invented one of its most famous flavors, Chocolate Chip Cookie Dough. This popular dessert was the result of a note left on the suggestion board at one of the Vermont stores, which provided the inspiration for the best-selling flavor. The company also built the world’s largest ice cream sundae in 1983, weighing in at an amazing 27,102 pounds. When Jerry was at Sea Island in 2012 and 2014, the resort’s culinary team built a 40-foot Ben & Jerry’s ice cream banana split.